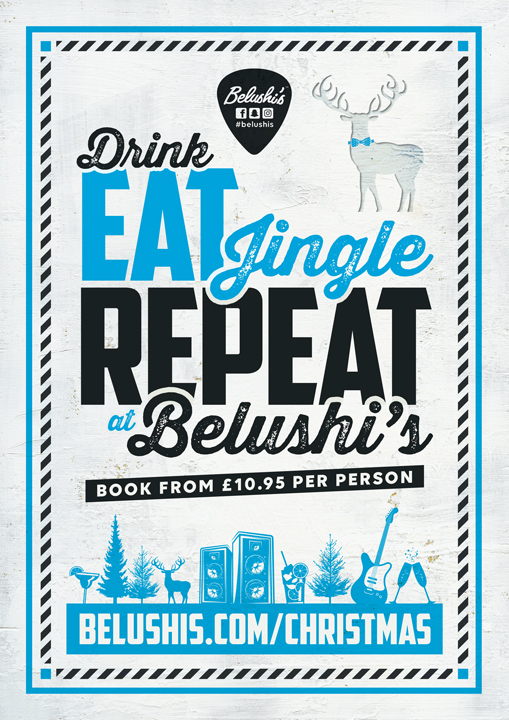 Christmas in Bath is something special, but add a Belushi’s party into the mix and you’re all set for a Christmas you won’t forget! Belushi’s bar right in the heart of the city will be hosting the best Christmas events in Bath for 2019, so you can be guaranteed one very merry Christmas! Jam packed with festive food, drinks and tunes with an alternative edge, Christmas at Bath Belushi’s is always gonna be one to remember. Book one of our killer Christmas packages and we’ll sort you out for either a 3-course meal, Belushi’s-style buffet or pre-paid bar tab. Book now for a cracking Christmas extravaganza in Bath that you won’t forget!